Expectation can be a dangerous thing, but even though I know that, sometimes it just can’t be helped. OK, so let’s make that a lot of times, then. Generally speaking, there are times when things do slip in under the radar, and you do leave the cinema feeling, “That was nice.” You realise that perhaps it would not have been the same had it been a movie that one had known plenty of beforehand. Other times, however, there are films that turned out great. ‘The Dark Knight’ may not have really deserved it’s #1 spot on IMDB.com that much (the best of all time? Really? ), but it certainly matched my lofty expectations after the first film. But let’s not dilly dally and get straight to the point. 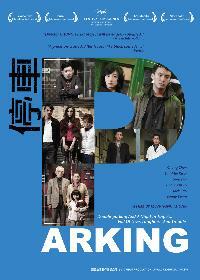 I’ve been waiting to watch ‘Parking’ ever since I trawled through the Cannes website half a year ago, so there’s no need to crank the pressure psi up even further. There is, however, a need to tell you this: what a great film it was. Great can be very subjective, and be found through many different forms. In this case, the film’s strength comes from the simple, yet multi-layered premise that it is. A man, Chen Mo (Chen Chang), is out and about looking for a cake on Mother’s Day in Taiwan. Parking his car near the cake shop, he comes out with his cake…only to find a car parked next to his. Rendering him immobile, he initially sought out the help of a barber (Jack Kao), who tries to help him out by trying to find out who the car owner is. It is along this journey that Chen Mo comes into contact with a host of very interesting and different characters, like a down-on-his-luck tailor (Chapman To), a prostitute (Peggy Tseng), and her ‘handler’ (Leon Dai). The most compelling of them all, however, are an elderly couple and a young girl living together. Taiwan's 'Got Milk?' campaign was a bit extreme. As we meet each of the characters, we get to know them better through the aid of flashbacks. They’re brief, and in many ways completely deviate from the style and the substance of the main storyline, but is successful in adding a lot of essence to what would have otherwise been supporting actors. All the while, Chen Mo also has to deal with his wife (Kwai Mei-lun), with whom he has promised to be home in time for dinner. Obviously, that isn’t the case, and you’d think that one missed dinner won’t necessarily make or break a marriage…until his own flashback reveals otherwise. This is one of the main points of the film that I want to start with. Open any self-respecting scriptwriting book, and one of the most ever-present tools mentioned to heighten the suspense of any scene would be to jack up the time factor. Simply put; give the main character a time limit, or else dot dot dot. One prime example is ’24’, the TV series which has Jack Bauer run all over the place trying to save America from terrorists (again). Now, Chen Mo is not quite trying to save the world. In fact, when it all comes down to it…he’s just trying to keep a promise to his wife. And in trying to keep this promise, the director pumps in random phone calls from her every once in a while; a very simple, but very effective way to increase our anxiety levels for the film. Thank God, then, that it’s not all gloom and doom. The show, while it does have some unsavoury parts, is not without its humour. There are scenes that are just laugh out loud funny. Not in the sense of MSN’s LOL, which we all type but rarely actually mean. No, there is some really funny stuff hidden here, almost like diamonds in the rough, thrown at you from the most unexpected of places and characters. The tailor character, played almost to pathetic perfection by Chapman To (because his character was pathetic, see), provides a lot of it, as do Jack Kao. He comes across as intimidating at first (with some underground links), but after a certain point, I couldn’t help but smile when I do see him. There really is a strong charismatic force with these two actors. It helps that the director has a strong visual style as well. Once in a while, Chung Mong Hong (who is in Soderbergh mode, having also shot this film) would zoom in just a bit, capturing the expression on a given character’s face at the exact right moment. Not only does it enhance the emotional effect, but it did make me think a bit. After all, I do not see as many films these days that dares to go further beyond your usual dolly in and out shots. A cinematographer friend of mine said that even the likes of Steven Spielberg hates zooming in, something which I have to admit I didn’t really notice. Perhaps because of that, it jumps out at me with more force and speed, and, for a moment, unsettles me. Perhaps it will do the same for you, but once you get used to it, the style warms to you. By the end, quite frankly, I was hungry for more. It helps that the colour are incredibly vivid; though it is very much a ‘realistic’ film, you do get the sense that you might fall into a fantastical segment any time soon. The projection of films against the moon was successful. I wonder, though, how many people are likely to see it. Despite the relatively well-known cast, the fact that this is the director’s feature film debut might be a hindrance. At the point of writing, it has travelled to Cannes, Pusan and a host of other festivals respectively. Nevertheless, my Taiwanese friends have never even heard about it. Perhaps, like ‘Sell Out!’, there some distribution issues behind the scenes that I may not know about. I do know, however, that this is a gem of a film. With the cast and cinematography, in particular, really fleshing out the actually-very-simple story at the heart of things, this is one of those films that really matches the high level of expectations I had. Which, in some ways, was rather surprising, since I also had prepared myself for disappointment. Fikri really, really wished that he had thought of this idea first.